This quilt finishes to 16" x 24"
The kit includes all of the fabric to make the top including the binding. Backing, batting, and fusible is NOT included. 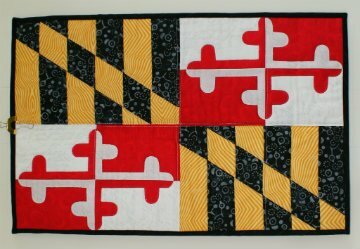 Marylander's are very passionate about their state flag. Now you have the opportunity to create your own to hang on the wall or use as a table runner.